After too many years, I finally got the nerve to start attempting to draw in the Sailor Moon style. Rather than risk butchering classic characters, I'm starting with some OCs for a fanfic that I never really got around to writing. Starting with Karasu Tomoe. So this is not only my first real attempt at drawing a Sailor Moon character, but also my first attempt at drawing guns, and boy did I pick a hell of a gun to start with. X_x The P90 has so many odd curves and angles that's hard to even put together a decent deconstruction. For the uniform, I'm going with the idea that the Sailor Senshi uniforms are based on schoolgirl uniforms, and I'm putting together something of a cross between a male school uniform and Naked Snake's jungle BDU from MGS3. Not really entirely a self-insert IMO, as I kinda made up Karasu before I took on the name on the internet. The general backstory is that he's a recent inductee into an experimental shadow ops group, put together by the Witches 5 for the purpose of conducting fieldwork vital in building the initial power of the Death Busters. pretty good, to improve it, perhaps the hair could be puffed out more. Yeah that's where I fell short was how many strands to draw and how puffy to make her bangs. In any case, I went and vectored the lineart for my OC and did basic coloring. Tomorrow I'll work on shading and highlighting. The palette in general is a dilemma. On one hand I want a decent contrast of colors throughout, while keeping the uniform somewhat realistically camouflaged and such. To that end, I'm also wondering if the body armor should be a darker shade, as it stands out quite a bit from the rest of the outfit. ^ Yeah, would prefer that in a darker shade. Yeah I'm gonna go and change it. Challenge, though, is I still want it to be a different color than everything else. I feel like I'm not using a wide enough range of colors (or rather shades of 1 color lol). Even though it kinda contradicts what I said earlier about realism, as an artistic rule of thumb I believe you should be able to differentiate various aspects even from a super-scaled down thumbnail or blurred vision. Basically, being able to tell what something is from extreme distances. Enough rambling though, lol. I decided to go with a median between the first and second shades on the uniform's overalls, with a very slight blue tint, just to try and make it stand out as a different material from the rest of the uniform. While I'm at it, might as well color the kneepads the same color. Might also darken the gun a bit. Wow... Maybe they should hire you for participating in the Drawings for SM Crystal^^. 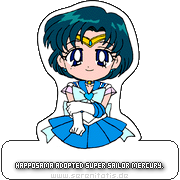 P. S.: Could it be that you somehow know the person who redrew the SMC Opening in the classic style? Wow... Maybe they should hire you for partissipating in the Drawings for SM Crystal^^. Well, gee, thanks. ^^ And no, I don't know that person, although I've seen his/her work and it's pretty sick. What holds things up the most is the linework. As you can probably see, I draw the lineart on paper first, then trace over it in the computer. However I don't use a stylus or drawing tablet, etc. Instead I painstakingly generate vector lines piece by piece, adjusting them as needed to correct errors and such. Then I go over it AGAIN to taper the end points and clean up wherever I need to. It produces a good result that I'm proud of and doubt I'd ever be able to pull off by hand, but I'm starting to notice it does drag out production times by a considerable amount. ^ Unlike those working for business or govt. organizations, efficiency or getting more done in less time isn't a concern of artists - what concerns them is perfection, probably at w/e costs. Yeah that was my philosophy at first. Still, if I plan to do fan comics, I should learn to speed up a bit, otherwise it'll just never get done at all. The hair shine was a bit of a pain to replicate. Does it look right? Nice, this turned out quite professional looking. What program do you use to do the finish outline and the colors? I have to say, speed is also one of my weakest points. Looks pretty good in multiple ways - good job! One thing to criticize, tho, is that the chest armor lacks the feel of thickness - would it be too late to fix that? ^^It's a sort of off-brand program, Corel PaintShop Pro X2. (Kind of outdated, as X9 has been out for a while, but I rather not spend more money lol) I find it easy enough to use, although it's probably not as powerful as Photoshop. ^Probably not too late, depending on where I need to thicken it. Typically, body armor isn't just one big exposed metal plate, but rather a plate tucked into a cloth "sleeve(?)" So I could probably get a way with a few small detail lines along the inner edges. Probably not too late, depending on where I need to thicken it. Typically, body armor isn't just one big exposed metal plate, but rather a plate tucked into a cloth "sleeve(?)" So I could probably get a way with a few small detail lines along the inner edges. Well thanks for all the tips and support! This is very good! You said you are going to make a comic? What chraracters will you include? BUT I also want to do something of a serious spin-off story with this character. It wouldn't involve the Senshi in any major capacity, but rather something like "A Day in the Life of a Death Buster". It would take place around R, start with Karasu's death and resurrection, and (as I mentioned) induction into an experimental soldier program run by the Witches. He and the other members of the team (dubbed the Revenant Corps.) are sent on various operations to help build the Death Buster's initial power while they're underground, and it would involve familiar characters, entities, and situations from the show. Examples would include using the "Demon Bus" (from Mars' debut episode) to smuggle weapons into Tokyo, spelunking the ruins of the Dark Kingdom for relics (such as an astronomy book owned by Nephrite), and capturing and studying monsters from rival villain groups. 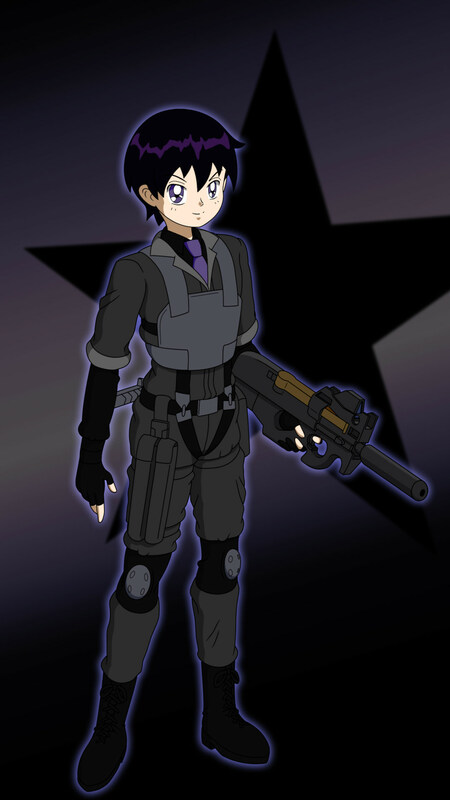 The main conflict of the story would start with the Black Moon attacking Mugen Academy (revealed to be a star point), which provokes the Revenants to organize a hostile retaking.This ultimately sparks a small-scale turf war between Black Moon and the Death Busters, with the Revenants acting as a counterpart to the Ayakashi Sisters. I don't mind some erotica myself .